A Testimony to Courage vividly describes the threat under which not just the soldiers but their families also had to live, and records the murders of some of the 197 members killed as a result of terrorist attack. It addresses how the Regiment became mainly Protestant as a result of the loss of Nationalist support and recruits, and the constant criticism of the Irish Government and Nationalist politicians. A final chapter records objectively the lessons to be learnt from this unique experience. 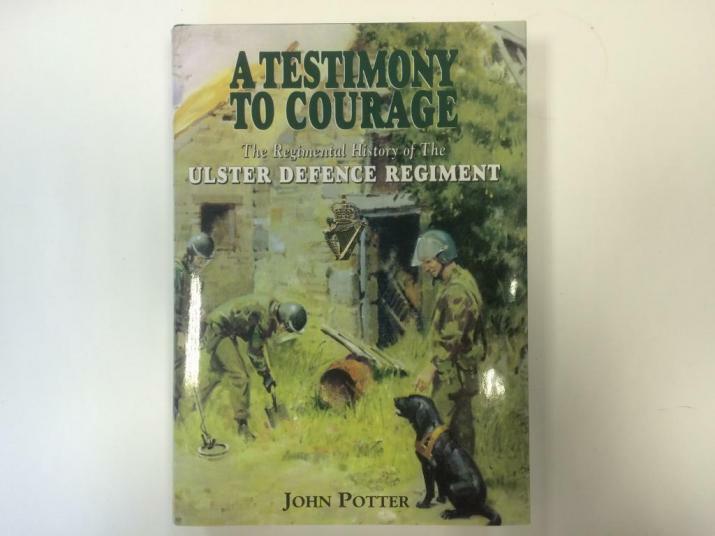 This book is not an official history as such but more a thorough record of the UDR's dramatic 23 year existence.